Please note that the content of this book primarily consists of articles available from Wikipedia or other free sources online. The Caribbean Court of Justice is the judicial institution of the Caribbean Community (CARICOM). Established in 2001, it is based in Port of Spain, Trinidad and Tobago. 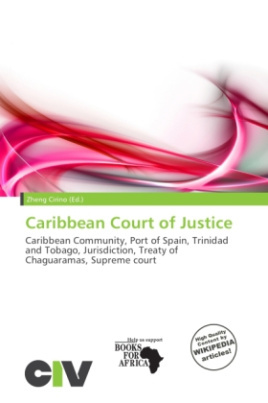 The Caribbean Court of Justice has two jurisdictions: an original jurisdiction and an appellate jurisdiction: In its original jurisdiction, the CCJ interprets and applies the Revised Treaty of Chaguaramas (which established the Caribbean Community), and is an international court with compulsory and exclusive jurisdiction in respect of the interpretation of the treaty.